More than five years after the commencement of the trial, following the appearance in Court of more than 350 witnesses, and after the admission of almost 10.000 exhibits, on the 22th November 2017 the Trial Chamber III of the International Criminal Tribunal for the Former Yugoslavia (ICTY) has issued a judgment which cannot but be already defined as a landmark decision. The Court, Judge Alphons Orie presiding, has convicted and found guilty of genocide, war crimes, crimes against humanity and violations of the laws or custom of the war, the former Commander of the Bosnian Serb Army (VRS) Ratko Mladić, sentencing him to life imprisonment. Mladić was arrested in Serbia in 2011: until that moment he was considered the most prominent Bosnian war crimes suspect at large, following the arrest of the Bosnian Serb former politician Radovan Karadzic in 2008. The historical theatre of such heinous crimes was the international armed conflict which took place in Bosnia and Herzegovina between 1992 and 1995, fuelled, inter alia, by the nationalistic project fostered by the then President of Serbia Slobodan Milošević. The complexity of the case, both under the factual and the legal aspect, is well represented by the length of the judgment, counting more than 2.500 pages: not intending the present comment to provide an in-depth analysis of the reasoning of the Court, only two of the many concepts of interest addressed in the decision will be pointed out below. The JCE is an institute created by the same ICTY jurisprudence in order to provide an effective legal framework to international crimes (such as crimes against humanity, war crimes and genocide), characterised by a multitude of perpetrators and victims, and often committed on the basis of a collective plan implemented by different individuals at different hierarchic levels. Differently from the case of “aiding and abetting” in the commission of a crime, every member of the JCE holds the same criminal responsibility of a co-perpetrator, as established by the Court first in the Tadić case. a JCE to take UN personnel as hostages during May and June 1995. (para. 3556 of the judgment). Of the eleven counts raised against Mladić, the first two concerned the crime of genocide, and specifically: Count 1, genocide in several Bosnian municipalities in 1992 and Count 2, genocide in Srebrenica in 1995. The accused was acquitted on the first count as the Chamber did not find that the physical perpetrators possessed the required intent to destroy a substantial part of the protected group of Bosnian Muslims. In other words, the part of the Bosnian Muslim and Bosnian Croats group that the physical perpetrators had the intent to destroy in some of the municipalities other than Srebrenica was not deemed as “substantial” on the basis of different factors, such as the numerical size of the targeted part of the protected group. Other factors considered by the Chamber for the evaluation include: “the numerical size of the part in relation to the overall size of the group; the prominence of the part of the group within the larger whole and whether it is emblematic of the overall group or essential to its survival; the area of the perpetrators’ activity and control; and the perpetrators’ potential reach.” (para. 3528 of the Judgment). As regards the alleged crime of genocide in Srebrenica, the Chamber found the accused guilty, stating that the physical perpetrators intended to destroy the Bosnian Muslims in Srebrenica, a substantial part of the protected group. This judgment has been issued at the final stage of the mandate of the ICTY, followed only by the Praljak’s Appeals judgment, recently in the international spotlight fir its dramatic ending. At the end of the year, the ball will be in the court of the UN Mechanism for International Criminal Tribunals (MICT). As it is always the case for international criminal justice matters, it is difficult to say whether justice has been done. 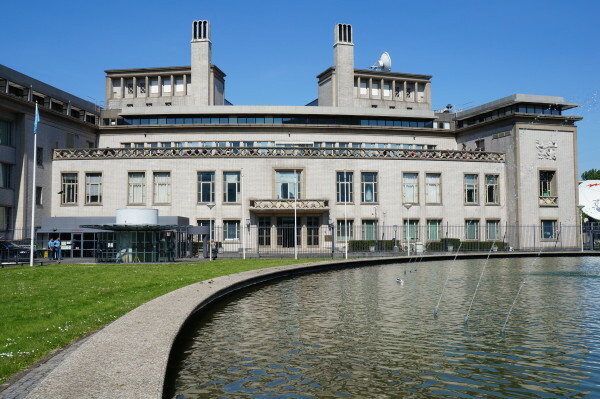 Evidently the ICTY, as any other international judicial institution, had to cope not only with the charges raised against all the alleged perpetrators, but also with the harsh criticism mining its legitimacy and work. Maybe, and far from wanting to justify any shortcoming of the court, or to forget the lack of the establishment of effective transitional justice mechanisms, it once again worth repeating that “some justice is better than no justice at all”. 14 Giugno 2016 The Prosecutor v Radovan Karadžić. Un breve commento ai punti salienti della sentenza di condanna.